February 19, 2010 marked as the 3rd Foundation Anniversary of the Local Government of Sta. Cruz Adventure Club. And perhaps the most worthy and commendable way to celebrate it is to give an indulgence to Mother Nature. 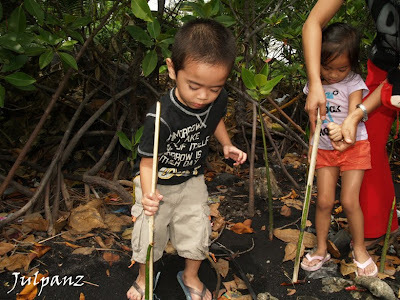 Our activity was called Nature Treat, a mangrove growing activity within the compound of Tajos Beach Resort, Sta. Cruz, Davao del Sur. After which we had a very good get-together, a reunion of sort knowing that other members already have different life spots due to career and marriage. It was a party over bottles of drinks and “inato” servings. 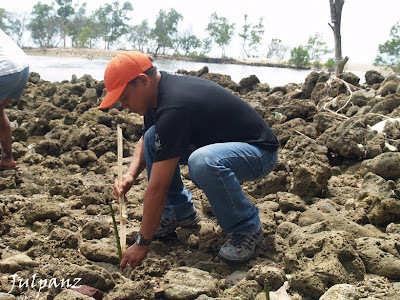 Some 300 mangrove propagules from the Municipal Agriculture Office were evenly planted. The occasion was graced by visiting mountaineers from Inawayan called CAMOC and some TRIMMOC Sta. Cruz Chapter members. 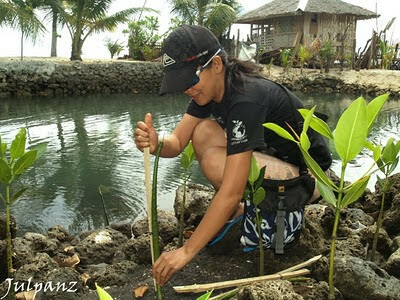 Very Special thanks are also extended to Police Inspector Rudy Tajos, the owner of the resort who was very kind to us during the activity and even participated during the planting. 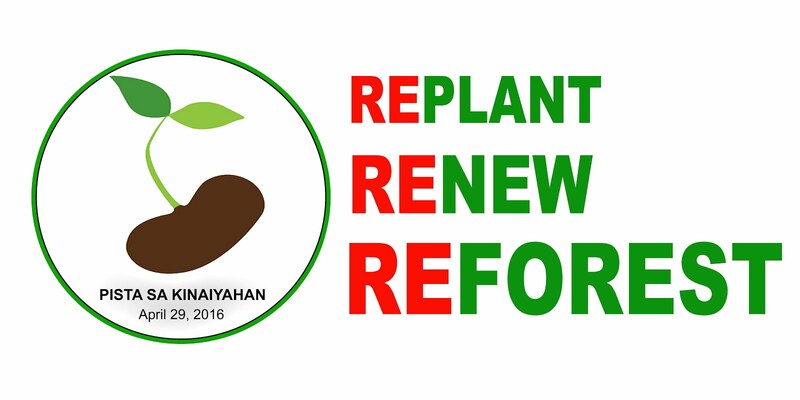 Inspector Tajos reiterated support to the activity by saying that he will personally monitor the seedlings so that a higher survival rate would be attained. 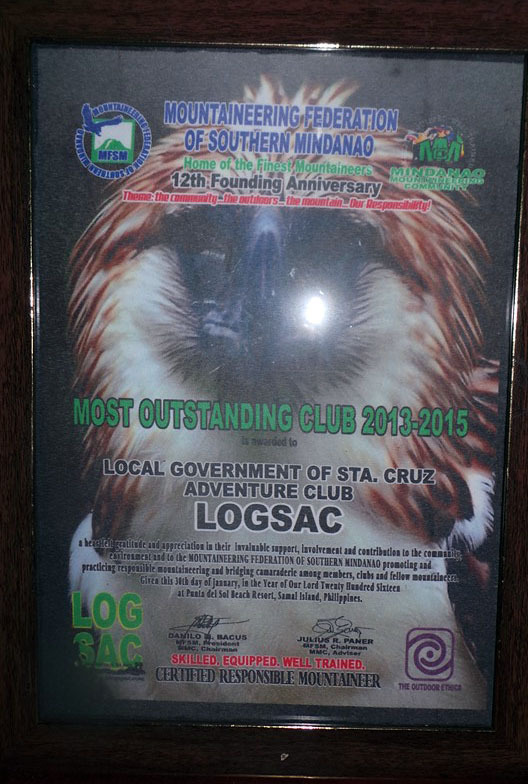 “Not everyone has the passion of doing this…Congratz LOGSAC pepz! 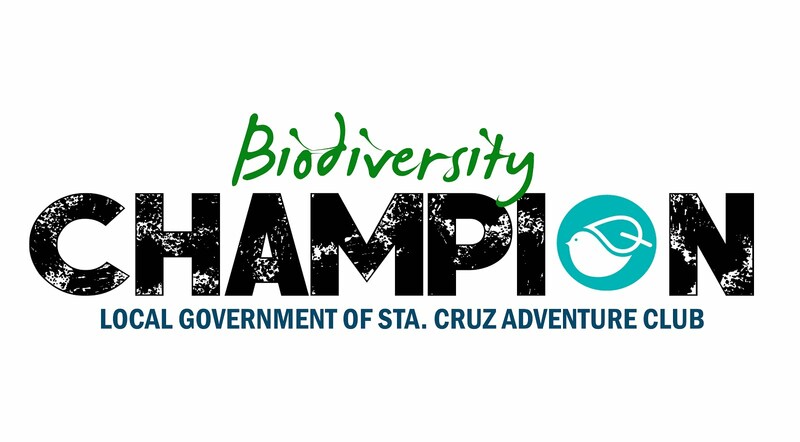 Let’s continue saving our Mother Earth,” said Chicay, one of club’s pioneering members. After the mangrove planting and lunch, everybody was fused at a little venue of the resort to share some good points about everything under the heat of the sun. 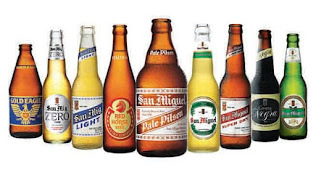 We had trips of music and, yes, beers…..Bob Marley was one of the subjects, photography was another and laughter was, as usual, on top of it all. Our Nature Treat was our own humble way of environmental advocacy, to show LOVE to the nature, to show love to all the people occupying respective places on earth, to show love to the next generation who eventually are landlords of the environment we are living right now. In the beginning, there was only nature, all creation is beautiful & many years after, creation still here-beautiful... but somewhat altered by human beings. 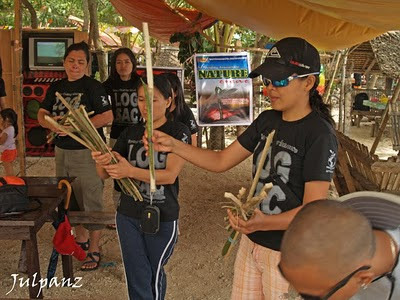 Last February 19, 2010 LOGSAC celebrates its 3rd year founding anniversary at Tajos Beach Resort, Sta. 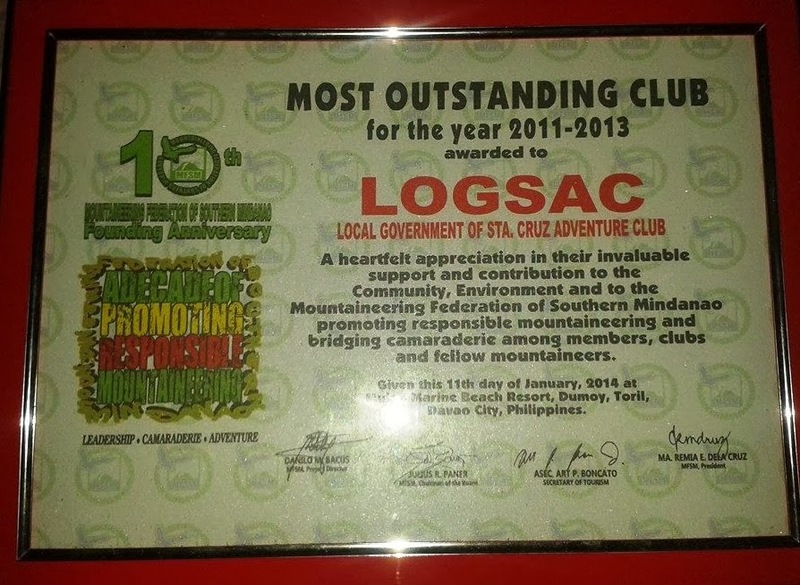 Cruz Davao del Sur & facilited by our Pres. & MFSM V-pres. 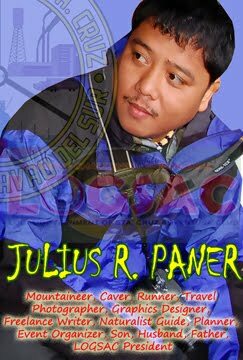 Julius Paner. 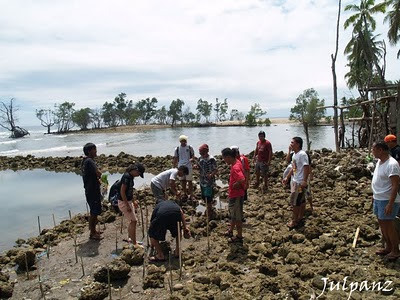 We started the activity through mangrove planting & growing because we simply love our environment, our mother earth & we have this passion, we are challenge & we have endurance, that's why we come up with this kind of activity. Police Insp. 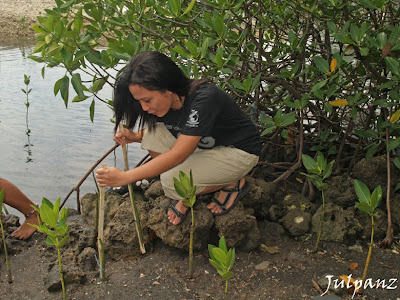 Rodrigo T. Tajos, owner of the beach was our guide during the mangrove planting & he said " pwede ni ninyo duawon ang inyong mga gipangtanom dinhi". 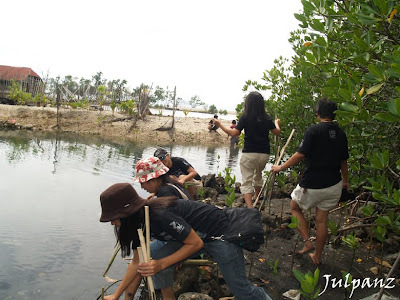 (you are all welcome to visit here & check the mangroves that you planted). Group from CAMOC & TRIMMOC Sta. 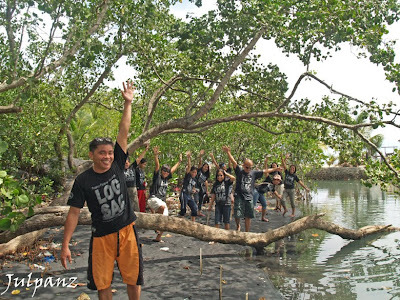 Cruz Chapter graced the activity & give their cooperation & support during the mangrove planting. 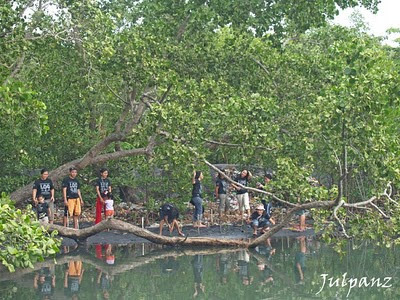 A simple lunch was served after the mangrove planting & while eating everybody was so busy chatting & picture taking for facebook, obviously. Although my time is limited to be with the group but for me i feel so good & it was fantastic. It was indeed a simple celebration but we are all blessed because in a small way, we all came out with the same purpose & mission in our beautiful planet earth to respect, care, love & preserve the nature. And we are grateful to our magnanimous God who created many wonderful things for our enjoyment. Lastly, i'd like to share this inspiring passage from the National Best Seller Book - JESUS:CEO, author Laurie Beth Jones... " i commit my passion to my cause, knowing that passion is the power that creates new life, new joys & new accomplishments for myself & others".